Big Bennys T-Shirts Now Available! 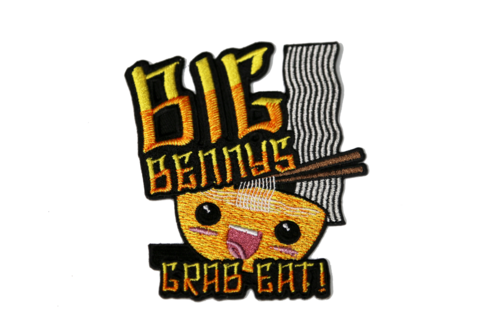 Big Bennys started from humble beginnings as a vending machine floating around Crusader, but you guys took him to places we never dreamed possible. To celebrate your efforts, the long-awaited Big Benny’s t-shirt is now available for pre-order! Show your allegiance to Star Citizen’s most popular noodle vending machine with this dark grey tee featuring the Big Benny’s Logo! Fabric is 100% pre-shrunk cotton. Follow the care instructions on the shirt tag to keep your t-shirt looking its best! Subscribers: If you purchase the Subscriber version of the shirt, your order will also include an exclusive Big Benny’s patch! Price includes worldwide shipping. This is a pre-order; estimated ship date is October 2016. This month’s Subscriber Flair is the Ophelia Vine! The Space Plant Collection features exotic plants found throughout the galaxy, from strange and unusual specimen to alien specifies or commonly found greeneries. This glowing vine is the fourth item in our Space Plant series. Similar to how the plant’s fictional namesake drowned in the ancient Earth play Hamlet, the bioluminescent Ophelia vine is submerged regularly by the tide that rises over the brackish sands it grows upon. The plants bright radiance is owing to the high quantity of luciferin it naturally absorbs from the heavy bacteria content found in its homemoon’s oceans. If you’re an active subscriber, the flair will be attributed to your account today. If you subscribe over the weekend, the plant will be attributed to your account on Tuesday July 19th! The space plant will appear in the game when Alpha 2.5 goes live. More information about subscriptions can be found here! ATV turns 100! This week eminates from the Austin tour as we check in with Tony Z and crew to see what’s going on this month. Also: the world-premiere of the Ballad of Big Bennys. A through look at what goes into fixing the bugs that crop up in video game development with host, Programmer Mark Abent. A big hello and welcome to this week’s Spectrum Spectator. I’m Lars Gonall and with me as always is the indomitable force that can only be described as Daisy Wences. Daisy: I’m basically the Human equivalent of the Retribution. That explains all the blown up Vanduul ships I keep finding outside. Daisy: It’s important to have a hobby. But who’s got time for a hobby when there’s so many vids to watch. Daisy: Good segue. You’ve been practicing. — GSN premiered Make It Count last night, a brand new show that goes behind the scenes with the Croshaw Jumpers and offers a glimpse into the week-to-week drama of an SBPL team. Rather than match highlights or anything like that, the show focuses on the struggles and triumphs of practices, the locker room and homelife of the coaches and players. I’m curious what you thought about this one, Daisy, since I know you hate sataball. Daisy: You are 100% correct. I am not a fan of the sport, to put it mildly, so I was a little reticent going in, but when Duncan Mellen complained about someone parking in his landing pad for ten minutes or Thudder Gaterson hurt his knee during the practice skirmish, I found myself genuinely wrapped up in the Jumpers’ lives. I think because the focus was on the people rather than the game, this was definitely the most I’ve ever enjoyed watching something sataball-related. Wait. Even more than Rough and Tumble? Daisy: Even more than Rough and Tumble. Okay, let’s slow up right there, Rough and Tumble is one of the greatest movies ever made, underdog sport genre or any genre. “Get to the hole, Tommy!” Hits my heart every time. The attached article was originally printed in the May, 2016 issue of Jump Point. 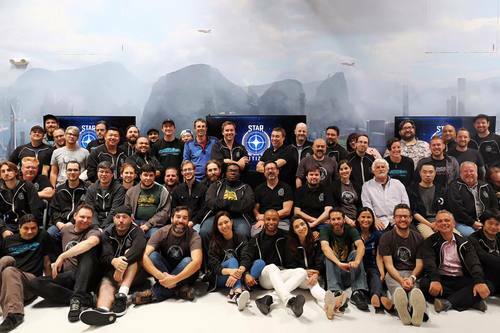 Learn more about the work our DevOps team does every day to keep Star Citizen moving forward! Welcome to the June 2016 monthly report! June was a most excellent month for Star Citizen, with the release of Star Citizen Alpha 2.4.0 and the 2.4.1 followup patch. 2.4 added a number of forward-facing elements to the game, including shopping and our first large flyable ship (the Starfarer)… but it was even more important ‘under the hood’ as it introduced persistence to Star Citizen! Persistence is essential to making a constantly-evolving multiplayer world, and there’s a lot for us to build on in future patches. ATV turns 100! We tour the Foundry 42 UK offices, get an update on 2.5 and the GrimHex pirate station in News From Around the Verse, and check in on updates to the Bengal Carrier in Ship Shape. In our tenth episode, Archivist Cherie Heiberg and Writer Adam Wieser from the CIG Lore Team explore the Terra System, center of the United Earth Empire. The attached article was originally printed in the May, 2016 issue of Jump Point. It offers a comprehensive overview of how Cloud Imperium Games’ artists and designers developed the Prospector mining ship!